Wooden Boat Festival April 28, 2018! Be sure to make plans to come to Eagle Rock Lodge for the annual Wooden Boat Festival! This year the date is Saturday, April 28 – from 10 AM til 5 PM! 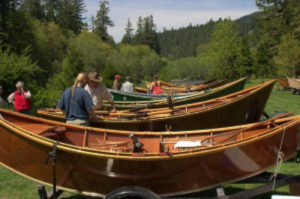 Learn more about the river, the men and women who travel it – and see some amazing and lovely handmade McKenzie River Drift Boats! Rooms book quickly, so if you want to stay with us, book soon!